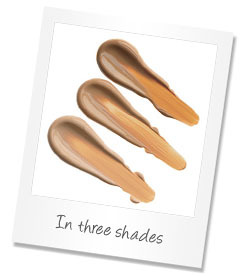 Our new Sheer Skin Tint is the natural bridge from skincare through to colour. It is rich and creamy like a foundation, yet so lightweight it glides effortlessly onto the skin, blending easily to enhance natural skin tones. We believe in exceeding our customers’ expectations, so just like our award-winning Cleanse & Polish Hot Cloth Cleanser, Sheer Skin Tint delivers dependable, visible results for all skin types. With mineral UV protection SPF15, Sheer Skin Tint is also enriched with our own carefully selected blend of botanicals: natural source vitamin E, avocado and borage, to work in harmony with our Liz Earle Naturally Active Skincare range. To support our ‘Progress not Perfection’ environmental values and our ‘Reduce, Re-use, Recycle’ campaign, when customers order Sheer Skin Tint by mail, we are providing samples of all three shades with each first purchase. This is to help customers ensure they select the right shade, first time - before they open their full size product, which will also help us avoid unnecessary landfill of good unused product. Our journey in search of great skin began in 1995 with one simple goal; to create simple, fuss-free, high performance skincare that could be depended on every day, whatever your age or skin type. With that aim in mind we created our multi award-winning Cleanse & Polish Hot Cloth Cleanser, which 16 years on, has changed the way women around the world in over 90 countries now cleanse their skin. Today each and every one of our products continue to be made with the same level of care and devotion. Now we’re combining our heritage with the expertise of a specially chosen team of make up professionals, to create our much requested colour range. Over the last 16 years our customers have been asking us to create a make up range that gives the same great results as our skincare. As a trusted beauty specialist, Liz has over 20 years of personal experience working with leading international make up artists for TV and photo shoots. Co-founders Liz and Kim also share a personal passion for natural-looking make up at home and work, all of which helps us to really understand what women want from their make up. This has ensured that our exciting next step is everything a woman would want and need: make up that really performs, works in harmony with and delivers the same dependable results as their Liz Earle Naturally Active Skincare and looks natural, enhancing rather than masking their skin. Our island home is the inspiration for the packaging design. Our own unique ‘marine’ colour and shimmering pearl finish reflect the way the warm summer sunshine gently filters down through the glistening, inky depths of The Solent. Our new logo design reflects our evolution into Liz Earle Colour. Apply to forehead, nose, cheeks and chin. Blend in with your fingertips. We recommend that you leave around 10 minutes for your moisturiser to sink in before applying our Sheer Skin Tint. A little really goes a long way. For a lightweight look and feel apply a very small amount. Sheer Skin Tint is buildable, so if you want more coverage apply another thin layer, rather than applying more at once. Liz Earle Sheer Skin Tint currently caters for light skin tones to medium-dark Caucasian skin tones; it will also be suitable for some Asian skin tones. As we develop the range further we will develop a wider range of shades for more ethnic skin tones. Liz Earle Sheer Skin Tint will be available from September 8th 2011. I can't wait to try this new product because I've loved the skincare range and I'm sure this one won't disappoint me! Will you try this out? Let me know!